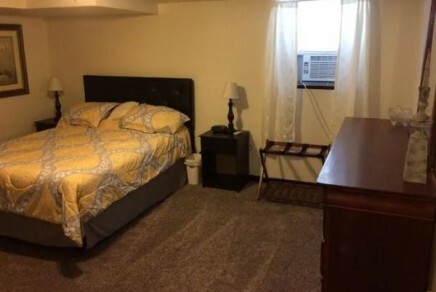 2 bedroom apartment one mile from the state capital building. This is the bottom apartment of a 100 year old building. The apartment includes a private driveway and a yard. The middle apartment and the top apartment is permanently occupied. Pets are allowed upon approval. My place is good for couples, business travelers, families (with kids), and furry friends (pets). 5 local TV channels, ROKU, DVD player with movies. Free WIFI.